MagJack Connector Modules 0813-1X1T-43 By Bel Fuse Inc. This is one package pinout of 0813-1X1T-43,If you need more pinouts please download 0813-1X1T-43's pdf datasheet. 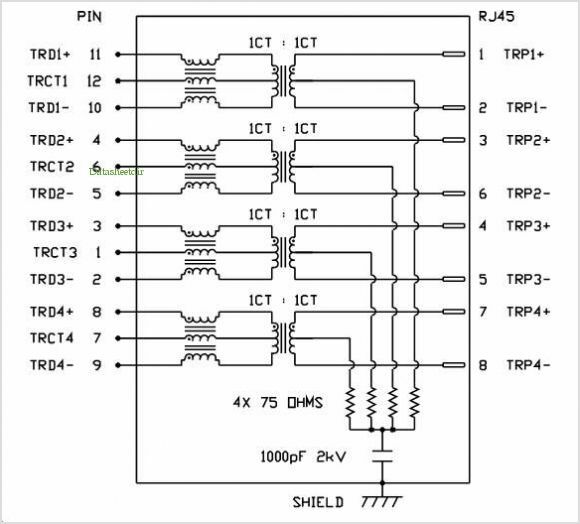 0813-1X1T-43 circuits will be updated soon..., now you can download the pdf datasheet to check the circuits!